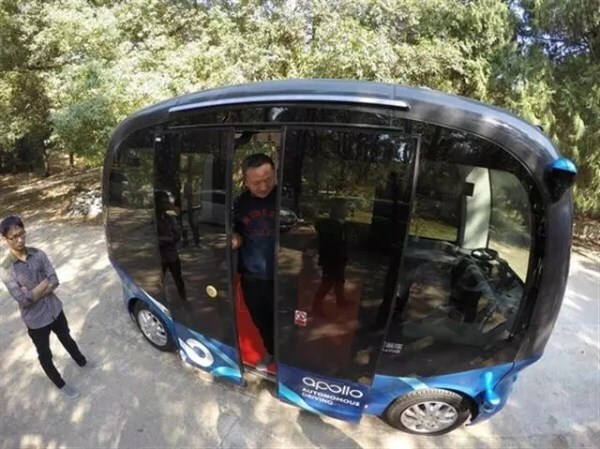 An unmanned minibus project was launched at Longlingshan Park in Wuhan Economic and Technological Development Zone (WHDZ), Wuhan, central China's Hubei province, on Oct 12, marking the launch of the country's first commercial demonstration operation project of unmanned vehicles. 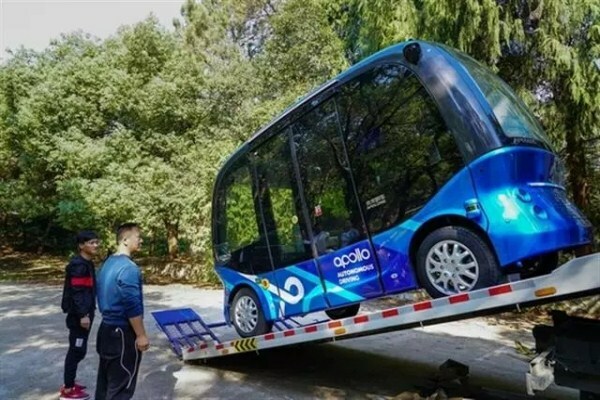 Named "apollo", the blue minibus is about 5-meter long and 2-meter wide, with eight seats distributed around the body. Together with the front of the vehicle, it can accommodate up to 14 passengers. The minibus has no steering wheel, driver's seat, accelerator, brake pedal, or rearview mirror. Equipped with millimeter wave radar, cameras and other technologies, the minibus is able to sense its surrounding environment in great detail, enabling it to accurately identify road markings, vehicles and pedestrians –– making fast decisions using its onboard computers. Each vehicle is also equipped with a safety officer who is able to bring the vehicle to a stop in an emergency. Yang Chao, leader of the minibus project, revealed that the positioning accuracy of the bus is to within 1 centimeter, and its response time is within 1 nanosecond –– faster than the human brain. Jointly developed and manufactured by Chinese internet giant Baidu and Xiamen King Long Motor Group, each minibus costs around 1 million yuan ($144,565), and is fully automated. 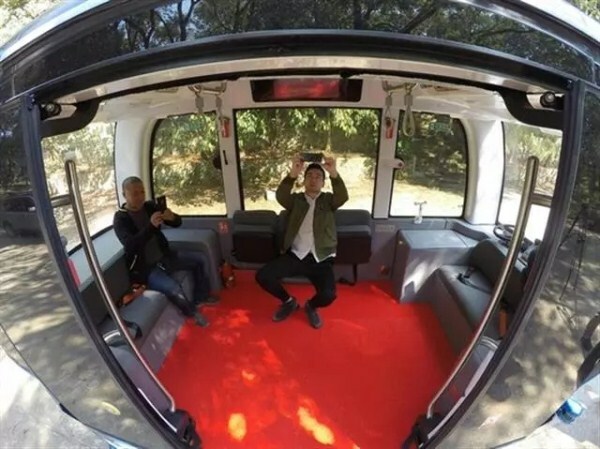 The vehicle will start trial operations in November, running from the gate of Longlingshan Park to the flower slope –– a distance of around 5 kilometers, traveling at a speed of 10 to 15 km per hour. It can run for at least 100 km on a full charge and passengers will not have to pay to use the new vehicles. The project is a demonstration of the future of transportation, and will attract new companies and skilled workers to WHDZ, said Yang. Around 10 minibuses are expected to be launched in Wuhan and used in various fields, he added.